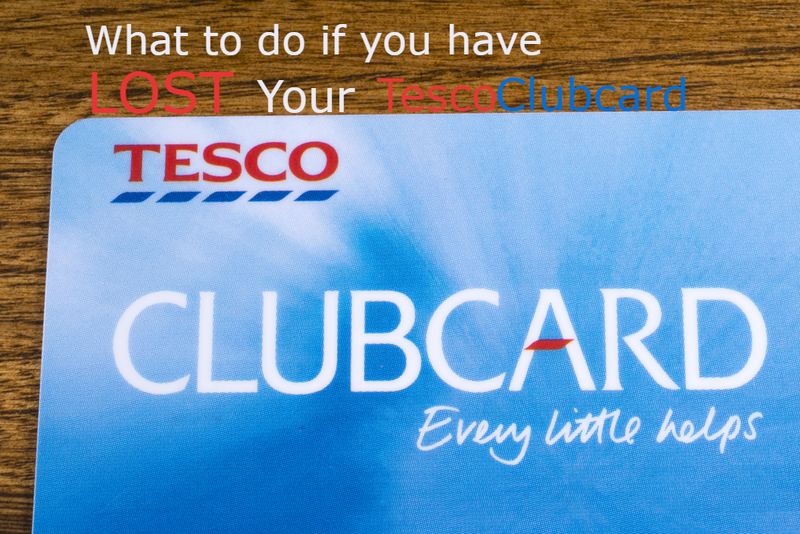 With this guide, you will be able to find out what to do if you have lost your Tesco Clubcard or points/vouchers, how to still earn Clubcard points and how to replace your card. If your Tesco Clubcard has been lost or it has become damaged you can go onto the Tesco website and sign into your account. You will need to click ‘Order a replacement card’, you will not have to enter the 3 digits that are on your card. You can follow the on-screen instructions and your new card should arrive at your home within 10 days. Any points that have previously been collected from your lost card will be transferred to your new card, you can find out how to still collect points when you’re waiting for your new card to arrive. Alternatively, you can call the Tesco customer service team on 0843 557 4354 if you have had some issues sending off for a replacement card or you have some inquiries regarding a replacement card for your lost Clubcard. If you have forgotten to use or you have lost your Clubcard vouchers or coupons you can log onto your account on the Clubcard website, you will need your 3 digits from your Clubcard, then you will need to go to the ‘vouchers’ section on the left-hand side of the screen. You will then see a table listing all of your vouchers that you are able to spend. You can spend these vouchers online you just need the code that is listed next to the voucher or if you would like to use the vouchers in-store you can print them out and bring them to your local Tesco for your next shop. If your voucher is about to expire you can extend the voucher for another 2 years by making a small purchase on the Tesco Clubcard Boost website which is a partner voucher exchange website, the remaining balance will be credited back into your Clubcard account. The points you get back will then be credited as new vouchers in your account which means you will be given a new expiry date. Try to buy the least expensive voucher as you will get more money back as points and vouchers. You can still earn Clubcard points in multiple ways if you’re waiting for your new Clubcard to arrive. You can download the Clubcard app to collect point, check your point balance and spend your vouchers or you can download the Tesco Pay+ app to pay for items in-store and collect your Clubcard points at the same time (this app is operated by Tesco bank). Your Clubcard should be already attached to your online account so if you do some online shopping you will earn Clubcard points automatically. If you are doing in-store shops you can keep your receipts until you have received your new Clubcard, then when you are next in-store doing your shopping you need to take your Clubcard and your receipts to the customer service desk and they will be able to put the relevant points on your account for you. Unfortunately, there is no way to do this online yourself. If you feel you have lost some Tesco Clubcard points as they have not been applied on a purchase where you presented your card, you should be able to get them back. You will need to wait a few days to make sure it just isn’t taking a while for the points to be processed, make sure you keep the receipts for the purchases where the points are not showing. If it has been a week and you have not received the points you can call 0843 557 4354 to speak to customer service team about them.